Provides flotation and ultimate buoyancy with bright orange color for easy visibility. Design allows fast size adjustment and a flexible comfortable fit. Water repellent neoprene and cordura materials provide warmth and protection from abrasion. Available in five sizes to fit most dogs. - Quick-release buckles and adjustable straps. 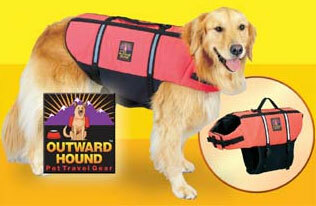 Outward Hound - Life Jacket - Extra Small product is categorised under Wholesale Outward Hound products, Wholesale Dog Products, Wholesale Apparel, Wholesale Coat Dressings.